6 November 2012, Treviso, Italy. Europe is the most important tourism region, both as a destination and as a source. In spite of the steady fall in its market share over the last ten years, as a consequence of the dramatic growth of very dynamic regions like Asia and the global economic crisis, Europe continues to play a central role in the global tourism market. Tourism is a major economic activity with a broadly positive impact on economic growth and employment in Europe. It generates between 5-10% of EU GDP giving jobs to some 10 million people, including a lot of young people. It is also an increasingly important element of the 'European way of life' as more and more citizens are travelling, either for leisure or business. The challenge now is to extend the tourist offer to those who traditionally were at a disadvantage: persons with reduced mobility, elderly, children and the disabled. Improving accessibility of tourism information and destinations can provide an immense boost to the mobility of EU citizens, their social and cultural inclusion and create a new demand for accessible regions. Time and again, accessibility, is being portrayed as too expensive to be achieved. There are, however, clear economic indications that the size of an accessible travel market exceeds 133 million tourists and could generate nearly 90 billion euro. This should encourage the business community to invest in accessible goods and services and to look into how to design their own products and services for all. Being a leader means knowing when and how to innovate. Europe's regions have to seize the opportunity to make the commitment to develop sustainable, inclusive and accessible tourism offer and make their natural, cultural and architectural heritage accessible to all, independently of their physical or mental abilities. This seminar will explore the barriers to inclusive tourism and reflect on how these challenges can be addressed to improve the accessibility of information and destinations. Through its political and practice-based sessions, the seminar will demonstrate what can be done to realise economic and societal potential of tourism for all. There wil be simultaneous translation from/to Italian, English, Spanish, French and German. Presentations given by ENAT Members are now available to download in PDF format. See right hand panel. Peter De Wilde. Tourism Flanders: Heading for an Accessible Destination. Gabriel Massou. Region Ile de France. 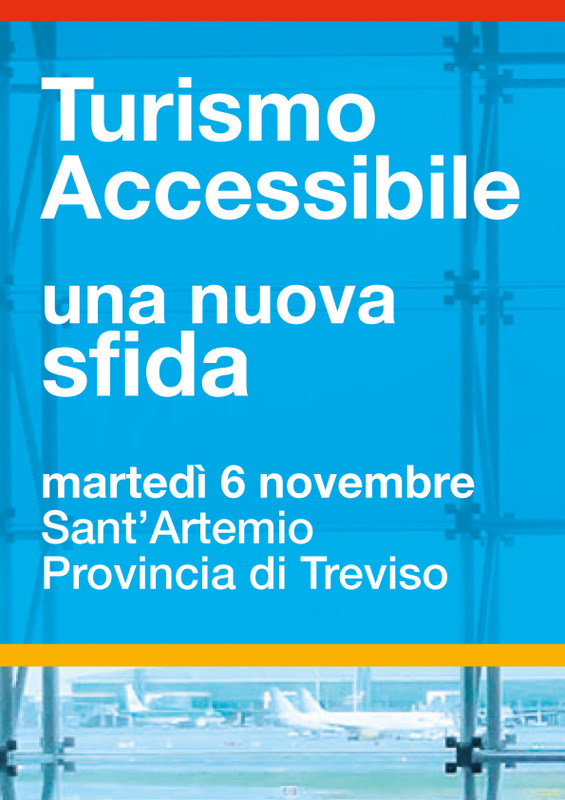 Visit the Provincia di Treviso website to Register. Download the Draft Programme and Registration Form from the right-hand panel.